Does your bathroom look like it's 1979? 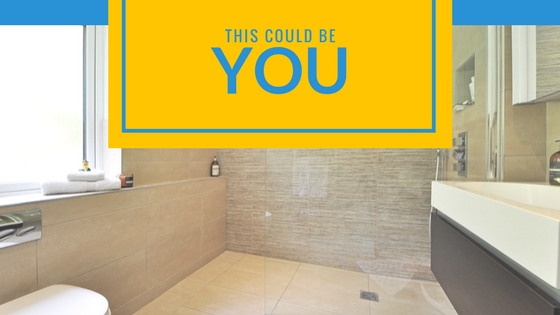 Looking to transform your bathroom? Find out how below! Does your bathroom represent your taste and style? Whatever your inspiration, whatever your budget, Pinnacle Group will make your idea into reality, on time and within budget. We are a one-stop shop for your complete bathroom installation, refurbishment or basic repairs. We will dispose of the old suite, tiles, and any building rubbish and leave your home clean and tidy. Warranty covers all appliances supplied by us, and we will take care of all necessary paperwork. Pinnacle Group and its employees are fully insured. We are VAT compliant, and all employees are competent and certified in their respective trades. We have been in the bathroom installation for over 15 years with thousands of satisfied customers all over Munster region. We provide all our customers with after work clean-up using our cleaners. Our services come with after installation warranty should any issues come up.One of our specialists will visit you to assess your old bathroom, listen to your needs and will guide you until you are satisfied with a plan. We will then provide you with a reasonable quotation that will be within your budget and give you a timeframe on how long the work will take. We offer free quotations and we are willing to discuss any questions you have about your bathroom. Call us now at 061 609865 to discuss any renovations or repairs you want in your bathroom.